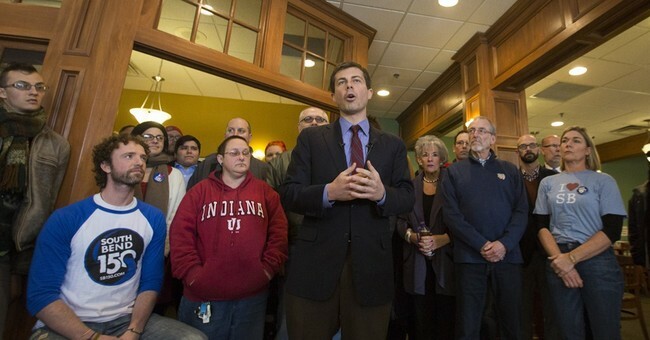 Background: Buttigieg has been the mayor of South Bend since 2012. He was made a Naval Intelligence officer for the Navy Reserve in 2009. He was deployed to Afghanistan in 2014 for a seven-month deployment, after which he returned to South Bend. He remains a lieutenant in the Naval Reserve. Healthcare: He agrees with the socialist Medicare for All Bill, though he believes that private Medicare options should be left open. Economy: In his first mayoral term, Buttigieg launched an initiative called "1,000 Homes in 1,000 Days," which called for tearing down or rebuilding deserted homes in South Bend. The success of this program has not been confirmed. He believes that NAFTA caused job losses and is a supporter of labor/union groups. Climate Change: Buttigieg believes that climate change is a national security threat. He supports every U.S. house becoming "net zero" consumer of energy as well as the government subsidizing solar panels. He signed a pact with 406 other mayors to adhere to the Paris climate accord after President Trump pulled us out of it in 2017. Gun Control: He supports universal background checks and is opposed to allowing guns in schools and "Stand Your Ground" self-defense gun laws. Immigration: He supports making a path to citizenship for illegal immigrants using DACA. Picking an unnecessary fight with Vice President Mike Pence over his religious beliefs.